D. Paul Schafer once more goes right to the heart of the current challenges we face in making the case for culture and supporting cultural diversity. This is an ideal read for policy-makers, practitioners, and academics who are grappling with the conviction that culture in all its diverse forms and manifestations – from the arts and food to recreation, tourism, and the environment – has a central role to play in the world. In this short article, Paul eloquently sums up the history of the case for culture, the present situation, and directions for the future. We desperately need to share his vision and inspire future policy-makers if we are to address some of the world’s most fundamental inequalities and difficult problems. The Case for Culture is available free for download. 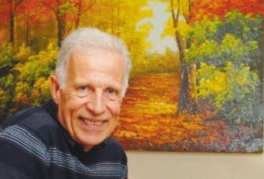 D. Paul Schafer is founder and Director of the World Culture Project based in Markham, Canada (www3.sympatico.ca/dpaulschafer). He has worked in the arts and cultural field for more than five decades as an author, advisor, educator, administrator, and researcher. He was Assistant Director of the Ontario Arts Council from 1967 to 1970, a founder and Director of York University’s Programme in Arts and Media Administration from 1970 to 1974, and Coordinator of the Cooperative Programme in Arts Administration and the Cooperative Programme in International Development at the University of Toronto from 1984 to 1990. Paul has taught arts administration and cultural policy at York University and the University of Toronto, undertaken a number of missions for UNESCO, and executed many projects for Canada’s Department of External Affairs and other government departments and organizations in Canada. IGCAT aims to identify, analyse and disseminate best practices in the development and convergence of gastronomy, arts, culture and creative tourism by publishing short articles from our expert’s situated around the globe.